Home sits elegantly up a long driveway on a private lot. Master suite on main floor opens to the backyard.Spacious bathrm w/ jetted tub & heated tile floors.Gourmet kitchen has lots of granite counter space & newer stainless steel appliances. Upstairs private loft. Bonus room can be 4th bedrm. Currently used as dance studio w/ mirrors & wood floor on top of carpet. Can easily be removed. Backyard oasis like an English garden. 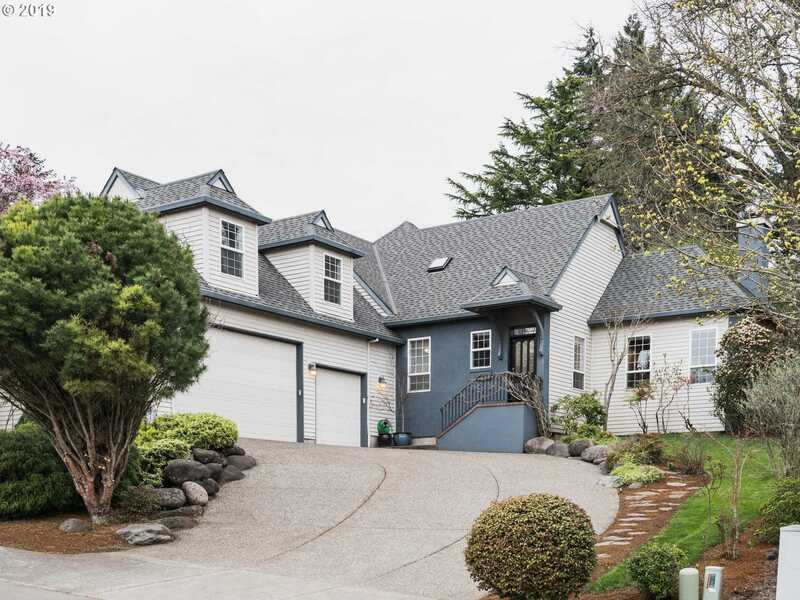 Please, send me more information on this property: MLS# 19173331 – $550,000 – 10111 Sw Lady Marion Dr, Tigard, OR 97224.